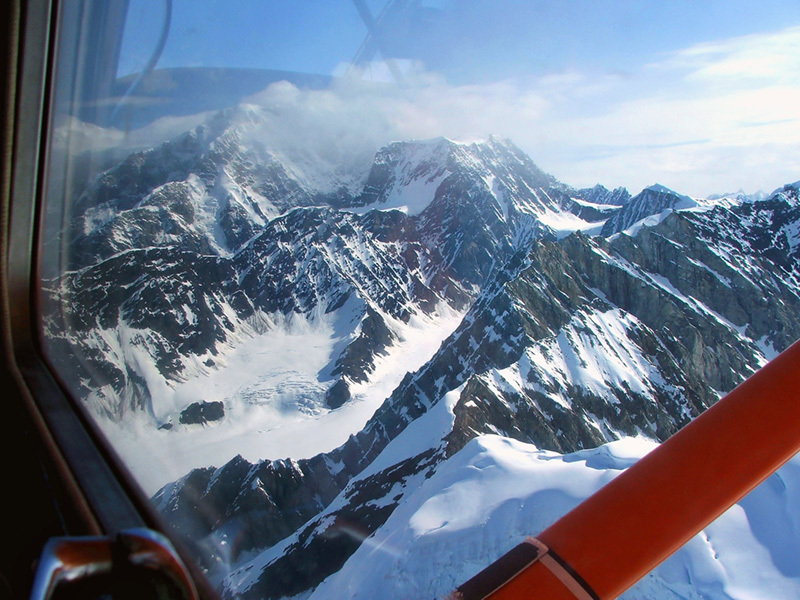 We had been waiting for a clear shot of Mount McKinley for days. Finally, one evening last week just before midnight, we were able to catch this one. 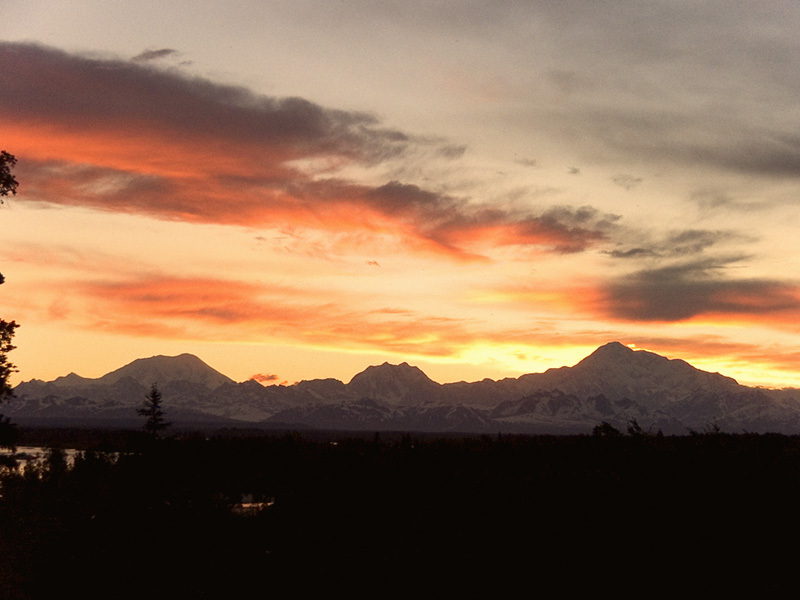 It was taken from the scenic overlook just before you enter Talkeetna, about 100 miles north of Anchorage. I thought it turned out fairly well. Here is a shot from our flyover the next day. Well at least I liked them. Very nice, I love the mountains, and I love the fact that you can get shots like this at midnight. Well done. I live in northern Utah, and even in the summertime it is dark by about 10:30 PM. While we were in Alaska, everyone was sitting up at the campground table or in the RV at 11 PM reading books without any lights on. I couldn't get anybody to go to bed. So then I had the challenge of trying to get them going in the morning. So getting pictures like this one is pretty easy in the "land of the midnight sun". 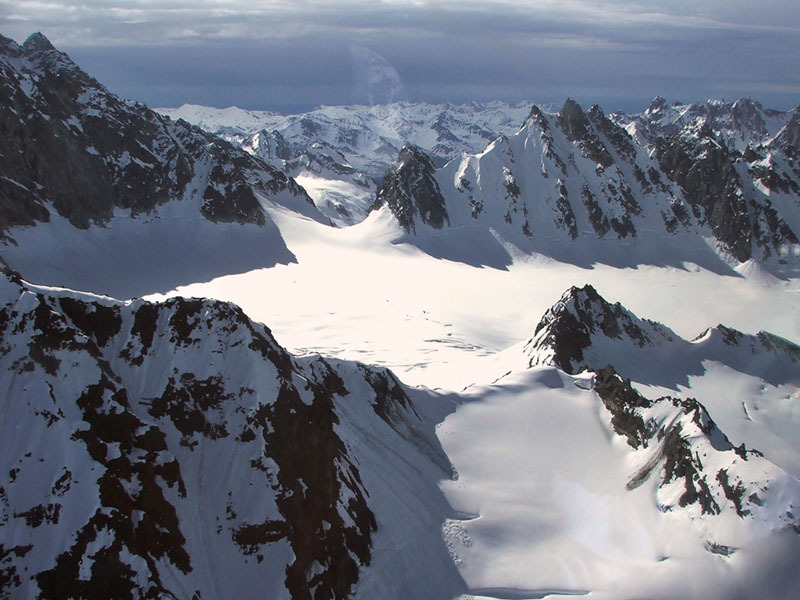 The big challenge seems to be to catch McKinley without a lot of clouds hanging over it.